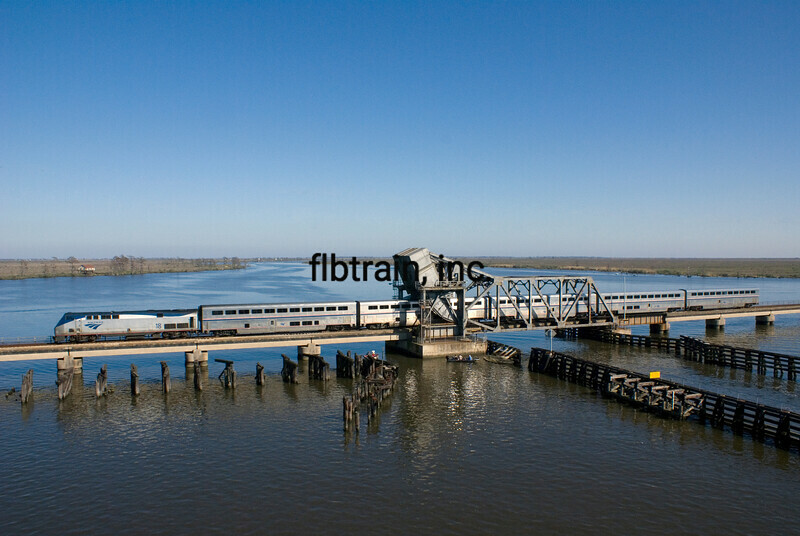 #58, the northbound City of New Orleans, rolls across the Pass Manchac, LA drawbridge. Leading the train is DASH9-P42B 18. 2/13/2008, 2:25 PM, MP 874.6. If you like seafood or fish there is a great restaurant just to the left of this scene. It is Middendorf's and they have the best catfish in the world. They also have a patio along the water where you can eat and watch the trains crossing the bridge.